Just wanted to wish all the mommies/grandmothers out there a Happy Mother’s Day. Even if you are a stepmother, an aunt, God Mother, a Pet mommy, etc this is your day too. 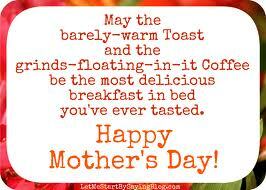 Happy Mother’s Day to you…. and to your mom!